The awards are designed to showcase the very best innovative and cutting-edge products, services and expertise currently available to help care, nursing and residential homes. Dechoker CEO Matt Oakley said: “To receive an award where the judging panel consists of respected professionals from the adult care sector makes it even more special. The judges of the awards included senior leaders from Majesticare, Friends of the Elderly, MHA and Friends of the Elderly. Each of the 10 companies nominated delivered a presentation from their stand, followed by a Q&A session. 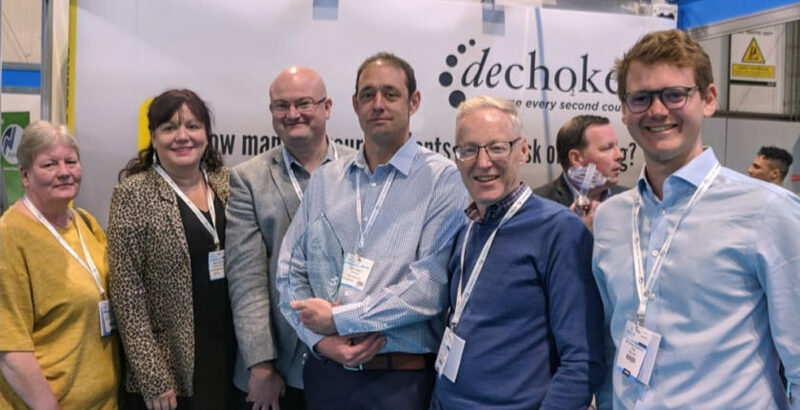 Since its launch, the simple Dehchoker has been used to prevent over a dozen choking deaths in care and nursing homes throughout the UK, with the company setting a target of saving 100 lives by 2022. Figures published last year by the Office for National Statistics (ONS) revealed the number of choking related deaths that occur in care and nursing homes was five times higher than originally thought, with conditions such as Dementia, Alzheimer’s and stroke masking the true scale of the problem.